Writing is popular all over the world, and there are many different events young authors can go to meet others who share their passion. I would like to explore some of the places to do this in the United Kingdom, particularly two events in the town of Guilford: the Guilford Book Festival, which has encouraged literacy for years in in the community, and the new Junior Authors Writers Conference. 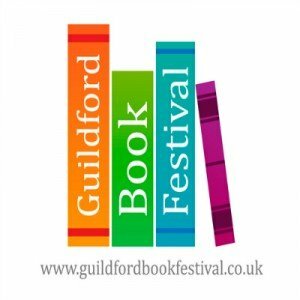 The Guildford Book Festival was established in 1989. It is staged over ten days and features many different authors and venues for the purpose of educating the public about writing and reading. The festival is celebrating its 25th anniversary this year, and quite a few young writers plan to attend. The atmosphere is very friendly, and it is full of staff and enthusiasts who are willing to engage with writers about literary topics. Join a book club, get a book signed, or meet other authors during the festival. Popular authors like Jennifer Saunders, Pam Ayres, and many others have been to this festival, and it includes a very diverse range of genres. It doesn’t matter whether you like cookbooks or mystery, romance or nonfiction, there is something for readers of every age. Young writers can find teen authors to get tips and tricks from, or they can even take a workshop or two! The Junior Authors Writers Conference, which takes place in Guilford on May 18th, will compliment this literary festival. The conference is targeted at young writers from the ages of 9 to 21. Set at the picturesque Manor House Hotel and featuring workshops by five local authors, this event, which started in Canada last year, is coming to the UK for the first time. While the book festival is for all ages, the Junior Authors Writers Conference is exclusively for youth and offers a plethora of resources for every aspiring elementary school student, preteen, teen, and young adult. Laura Michelle Thomas, author and host of the conference, is confident that this special one-day event for young writers will be as much of a success in the UK as it was Vancouver. Both events provide valuable resources for young writers, such as workshops, young adult authors to chat with, and reading groups to join. No matter who you are or where you come from, there will be a place for you in Guilford this year. The Guilford Book Festival, which has encouraged literacy for years in Guilford, and the newer Junior Authors Writers Conference will both be a big hit with young writers in 2014. I cannot wait to go to the conference! So excited! I can’t wait to visit London and Guildford. It will be my first time in the UK.